What Are The Custom Cardboard Boxes? Custom cardboard boxes are made of special paperboard material which is sturdy and perfect for shipping. These cardboard boxes wholesale are customized in many shapes, styles and designs according to the need of the customer. Food manufacturers also use cardboard boxes to protect the quality and taste of edibles. These cardboard lunch boxes wholesale are made with special wax coated material that preserve the food for a long time. Not only is that, these boxes also used for retail food packaging and bakery. They are also used by confectioneries and bakers to display their sweet delights and baked items. Which one of the packaging is more use, Cardboard Boxes or Kraft Boxes? Custom boxes made of cardboard or Kraft materials have their own importance. Custom printed cardboard boxes are best for display and shipping boxes, whereas Kraft boxes are perfect for food and soap packaging. 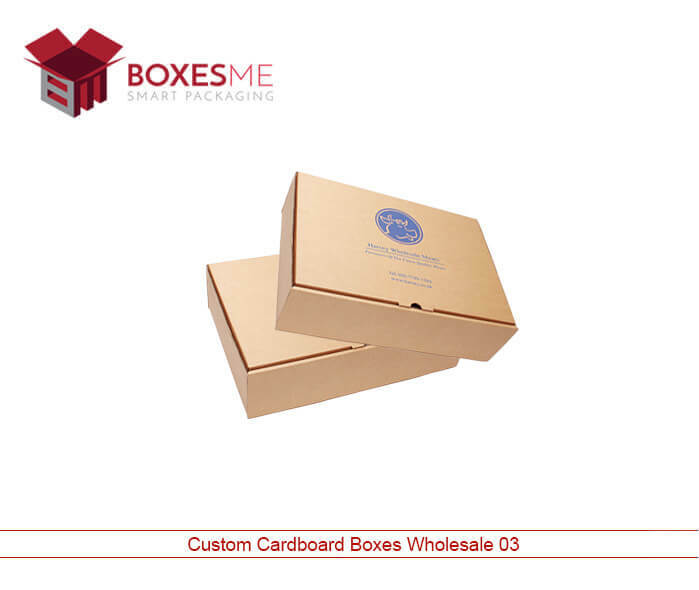 Custom cardboard boxes wholesale are usually used for the packaging of cosmetics, electronics, and apparel and for pharmaceutical packaging. They are printed in attractive designs and color schemes that attract the buyers towards them and ultimately increases their sales. You can add logo on them for the purpose of branding. Cardboard boxes wholesale are designed in product specific shape and style. These boxes can be used for multi-purpose as the sturdiness and high quality of cardboard is unmatchable. 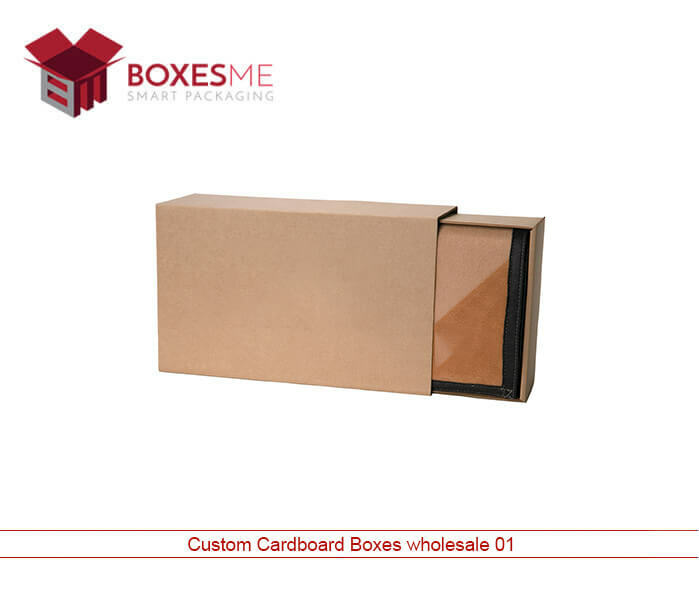 Custom cardboard boxes wholesale are designed with the help of our skilled designers. They help the customers in achieving the best packaging and printing for their boxes. If you already have a design in your mind, you can design the same otherwise our designers will suggest you the best design according to the shape and style of your product. Add-ons like matte, gloss lamination, spot UV and coating can add work as icing on the cake for your boxes. Where can you have a custom cardboard boxes, Color printed on both sides? The cardboard lunch boxes wholesale are very famous as they feature special value for the food protection and taste preservance. Also these custom cardboard boxes wholesale are printed from both sides with attractive printing designs and images that can grab the attention of the customers immediately. You can have your boxes manufactured in any style, most common styles are reverse tuck end style, hexagon style, two piece and hang tab for retail display. All these styles are made after considering the product size and its purpose. Where you can order custom cardboard wholesale? 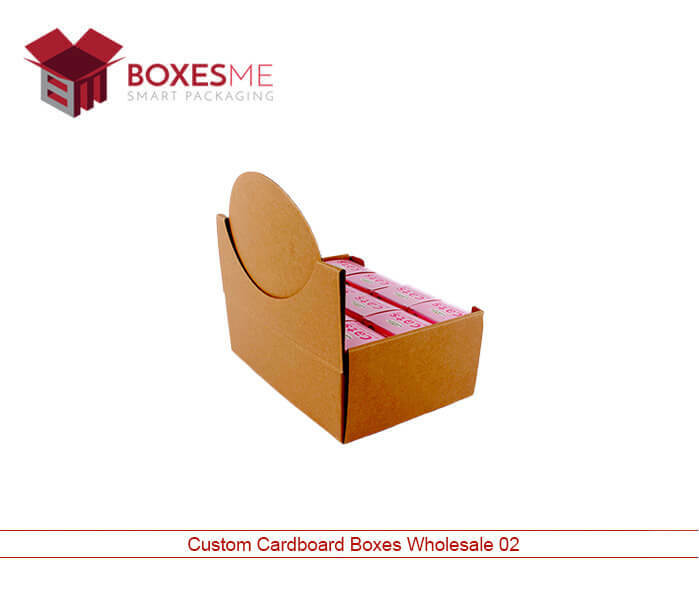 BoxesMe provides the best cardboard boxes wholesale for all kind of products. Especially when it comes to gift packaging, we have the best range of designs for printed cardboard boxes for gifts. These boxes are made in unique designs and styles that also promote the brand and its product packaged inside. You will also get free shipping of these boxes at your door step in United States. It’s very easy to order, just call us now and our agent will help your regarding all your queries about custom boxes.